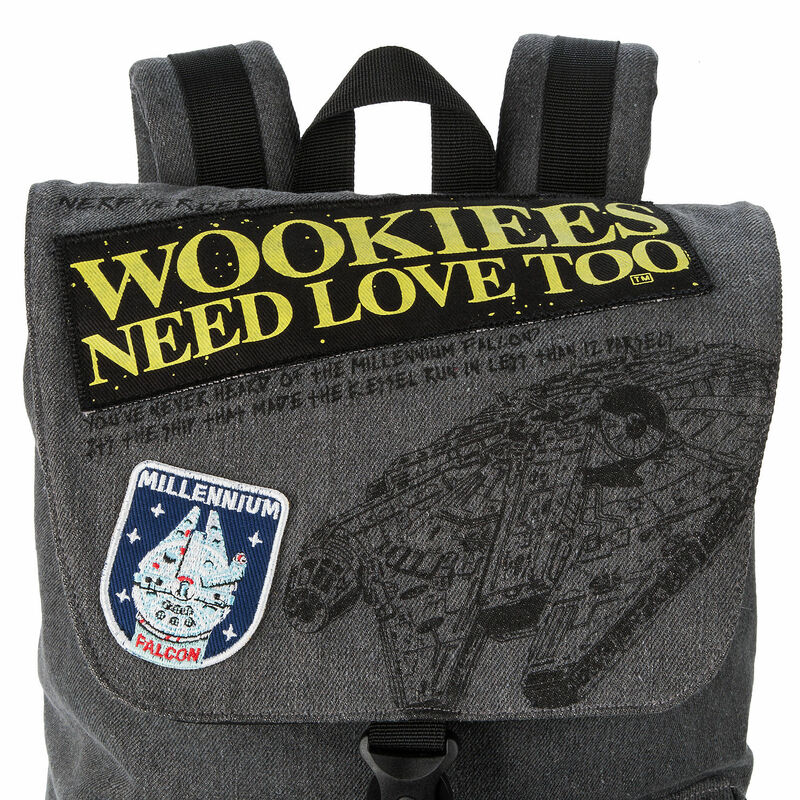 Share you love of wookiees with this Loungefly x Star Wars backpack. 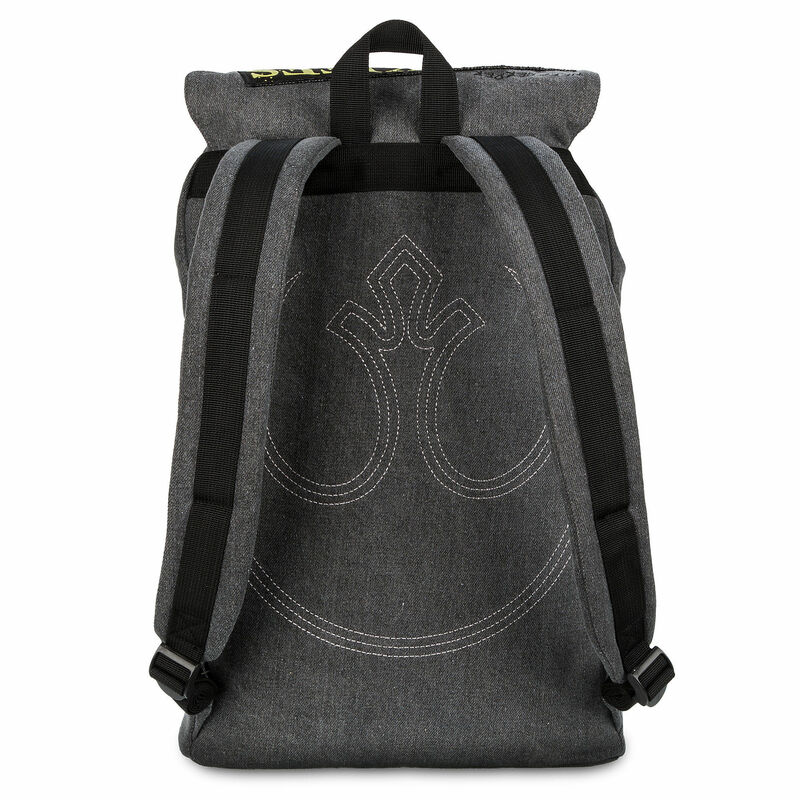 Made from grey denim, the drawstring-style backpack features a fantastic array of Star Wars designs, including embroidered patches, a faux leather patche, and lots of printed images. 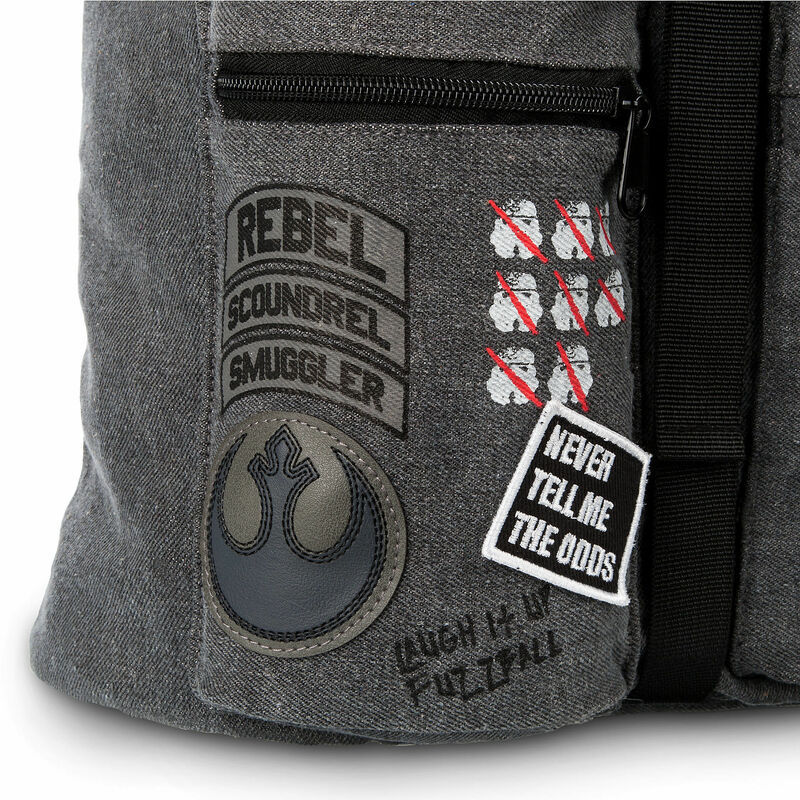 The backpack has a ‘customised’ style, like a Rebel has sewn on their own patches and handwritten quotes with a black pen. 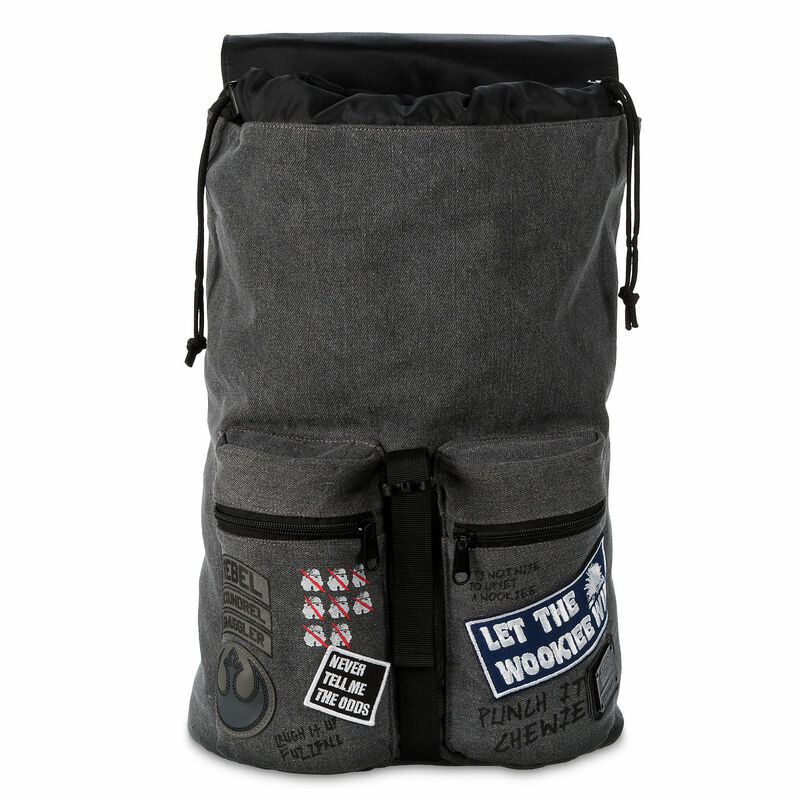 The casual style is perfect for adding your own personal touches, like your favourite pins and patches! 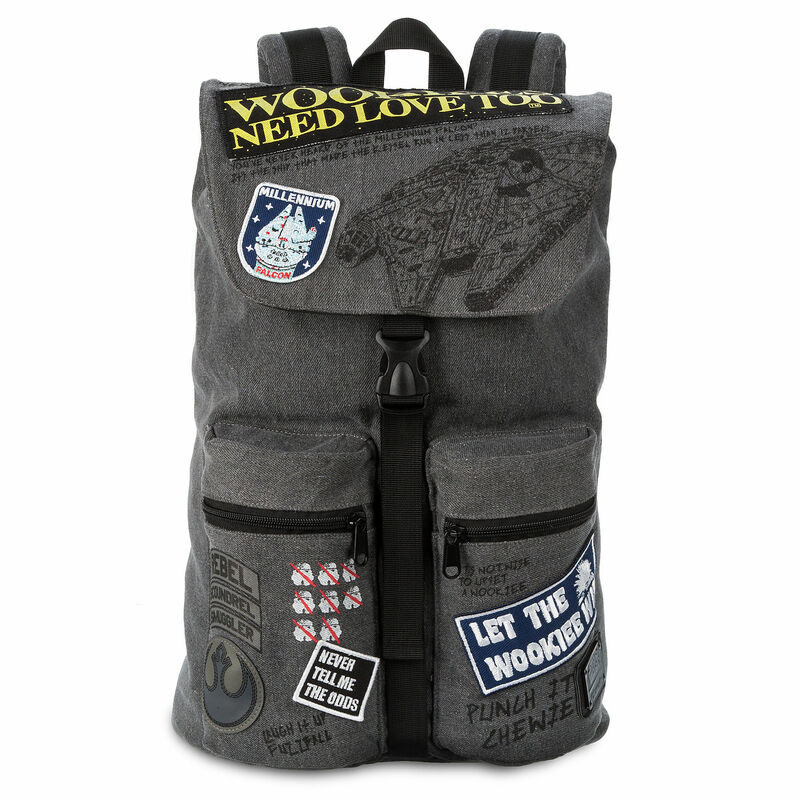 This large denim cinch-top backpack by Loungefly is covered in embroidered patches with clever Star Wars saga references. 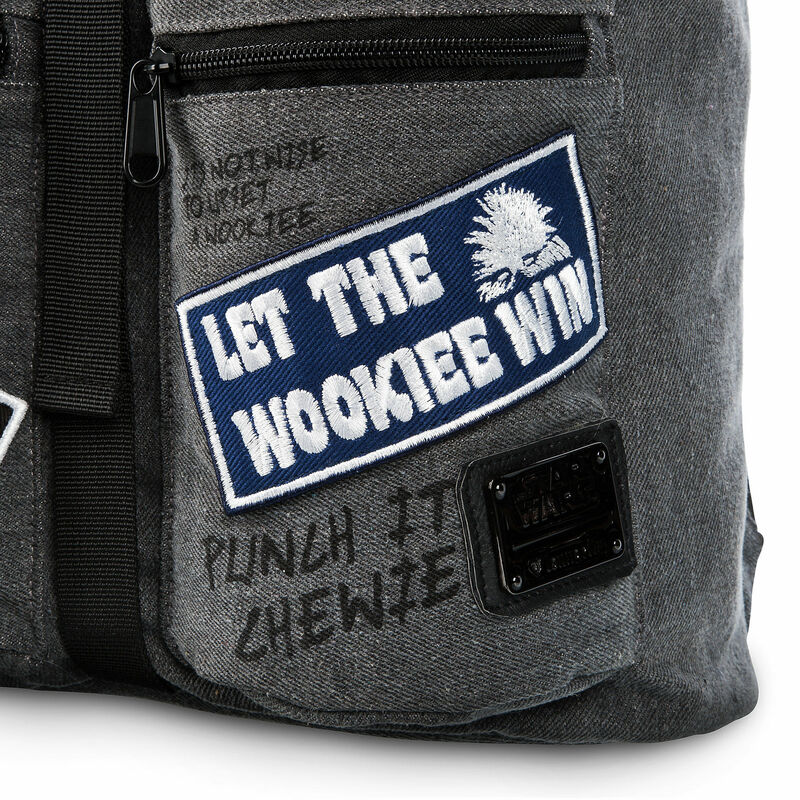 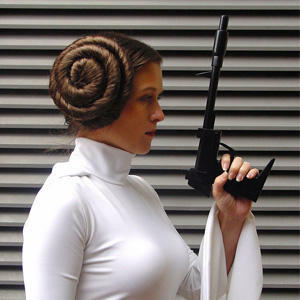 Wookiee wanna-bes will howl with delight as you smuggle classroom essentials throughout the known universe and beyond. 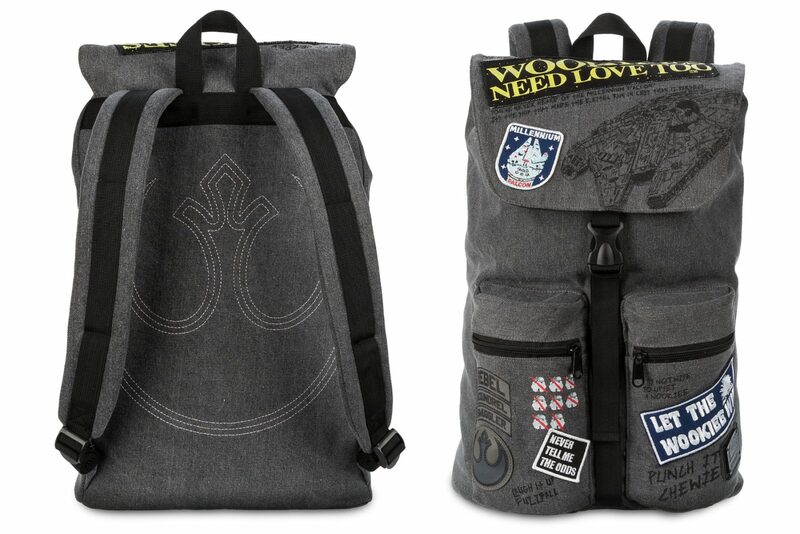 The backpack is priced at US$68.95 each – Shop Disney can ship internationally.